Although last weekend’s balmy weather was just a tease (highs back in the 30s yesterday), it did give us a taste of hope here in Western NC. 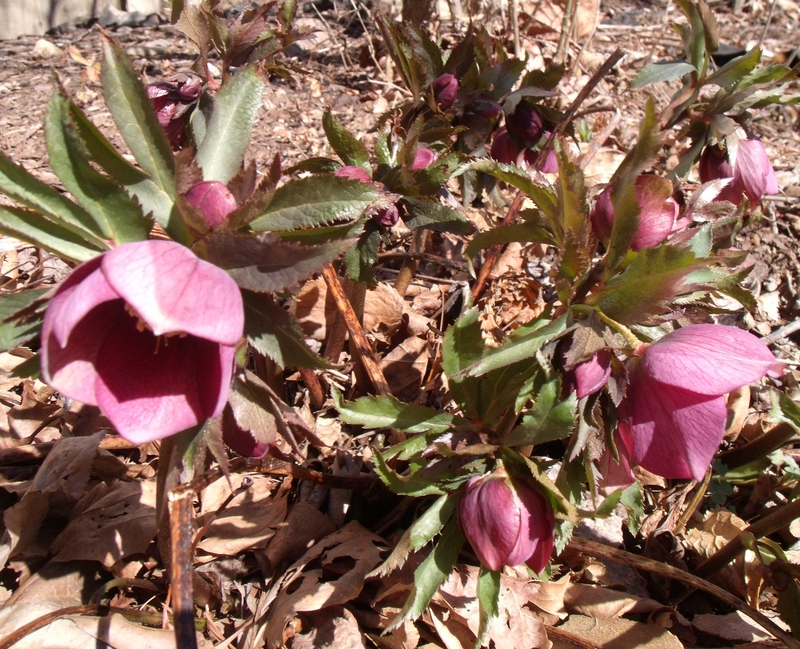 And as I look around the yard and along the woodland trails, I see signs that spring is drawing ever closer. It may still snow in April (or May, for that matter! 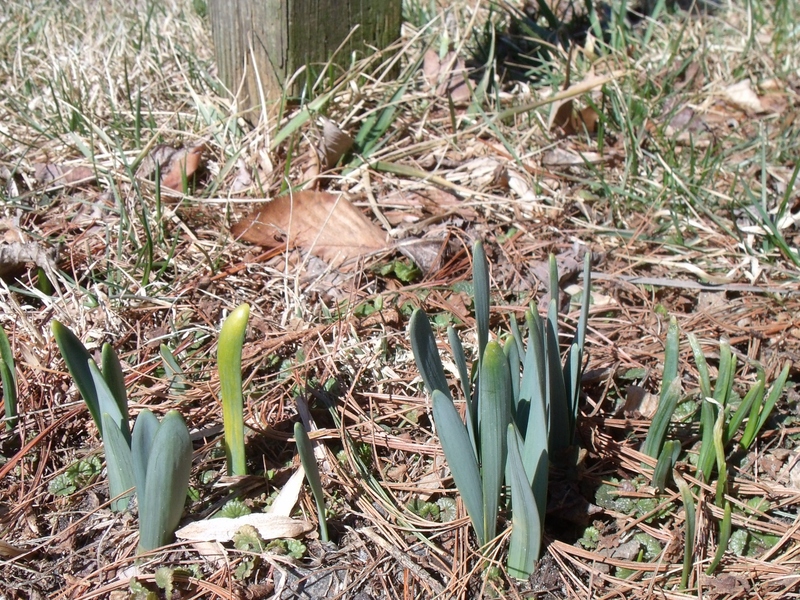 ), but spring is coming just as sure as the weatherman will get the forecast wrong. May you dream of warm days, freckles popping out on bare shoulders, and fresh asparagus. Ahhhh, spring! 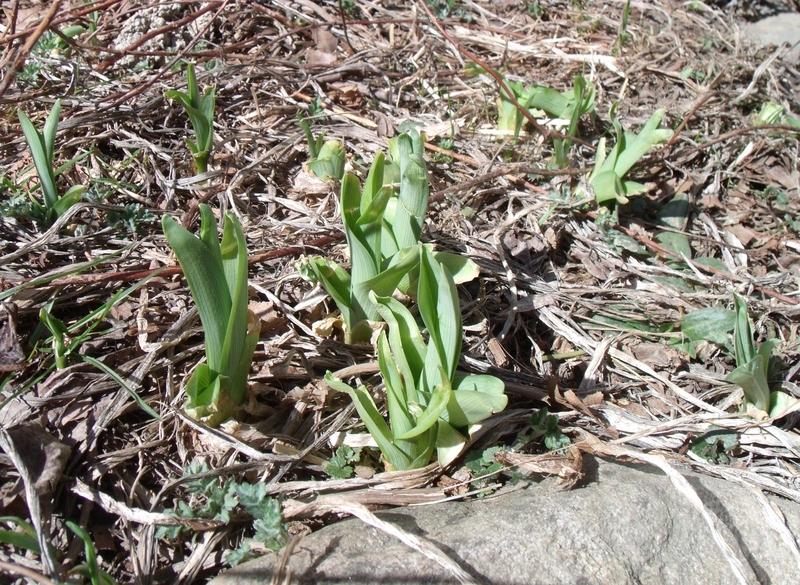 Even the lilies are getting a jump start. 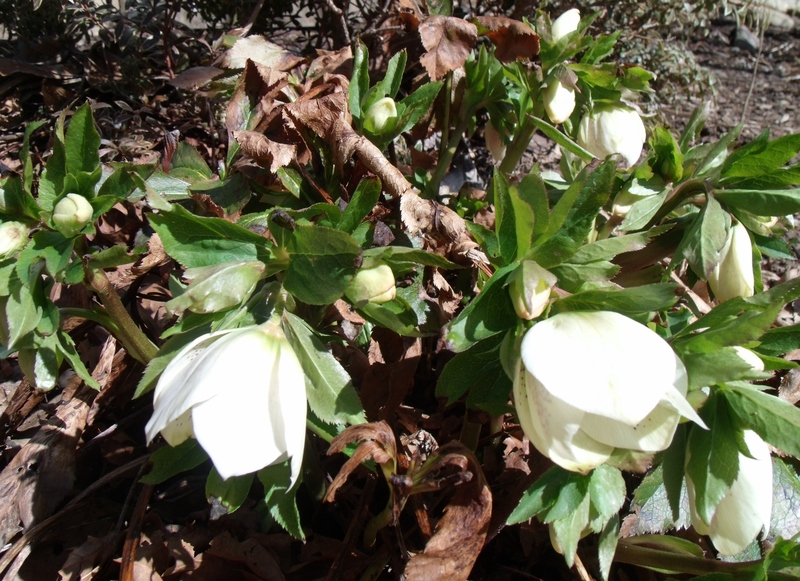 Lenten roses right on schedule. 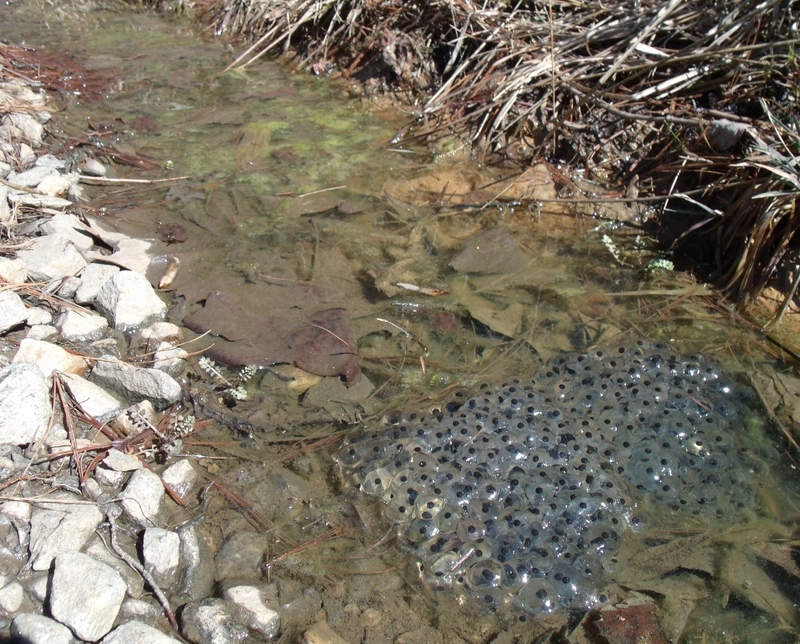 I’m tempted to scoop up these tadpoles-to-be before the ditch dries out. Daffodils and crocus under the mailbox. Although I can appreciate winter’s beauty, I’m always waiting for spring. To the point of refusing to discard my shorts and t-shirts for outside wear, even in January. The signs of spring here in high-desert NM are really too subtle to see until the temperature gets high enough to leave no doubt. I miss Texas, sometimes; the way the ends of the tree branches would start to soften, just a bit, as a sign that their long sleep was over. And I miss Southern California even more. Winter? What’s THAT, dude? Like, REALLY. Actually, winter in SoCal brought the best waves, and the water was not significantly colder. The buds on the tips of the branches are swelling–it’s like the prelude. Thanks, Sarah! Especially for the pictures! Yeah, you’re a smidge behind us in welcoming spring this year! Yuck! It’s cold and windy here today, but no snow and lots of sunshine. I’ll take it!